I'm currently very poor but I'm slowly re-establishing my fashion style. At the moment, I look at my wardrobe and I'm just not thrilled with the clothing collection I currently have. I have been scrolling through Pinterest and I have gained so much inspiration of clothing items I want to add to my wardrobe. I have always been a lover of denim. You just can't go wrong with some denim trousers and a slouchy jumper. I already have a fair amount of denim in my wardrobe but it's a staple I want to continue adding to my clothing collection. I love mom jeans as they are super comfy and you can dress them as up or as down as you like. 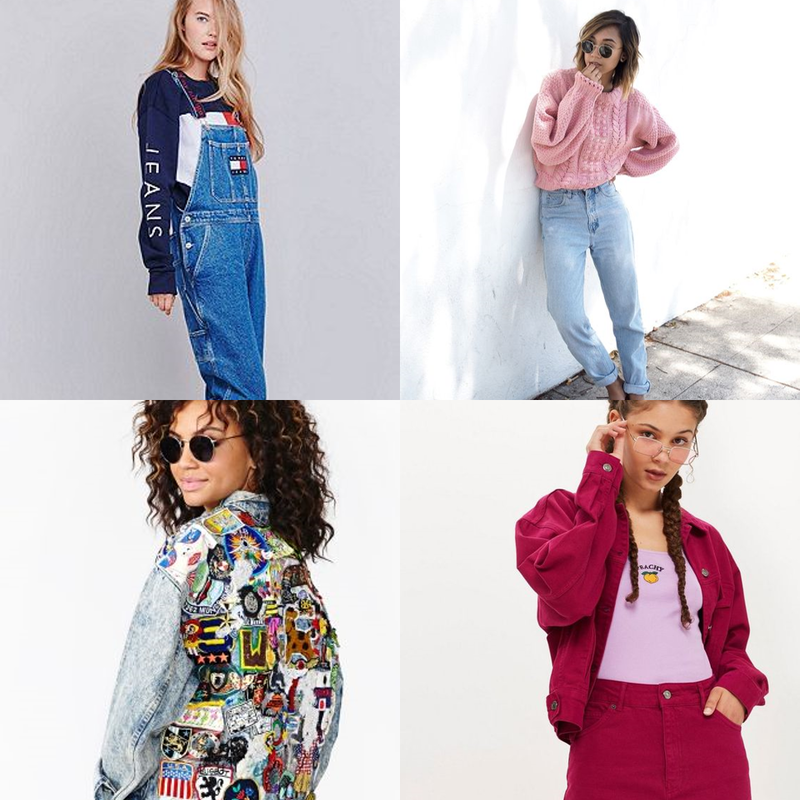 I would love to invest in some mom jeans dungarees. Paired up with a cute tee or a jumper, I just think this would be such a cute look. I also want to create my own baggy patch denim jacket. I already have a pretty slouchy denim jacket, I now just need to collect super cute patches to add on to it. I really hope I can create this by this summer as I think it would be such summer staple. I love the look of tennis skirts, they seem to be popping up on clothing websites everywhere. I really love how feminine and adorable they look. I also really like how you can get them in multiple different colours and patterns. As much as I love that classic A-Line skirt, I have so many of them that I have kind of grown board of the style. I always loved skater skirts but they just don't seem to be in the shops anywhere anymore!? But I think a tennis skirt is a great alternative. There're a few colours I would love in the tennis skirt, those being white, black, lilac and a plaid design would be great too. 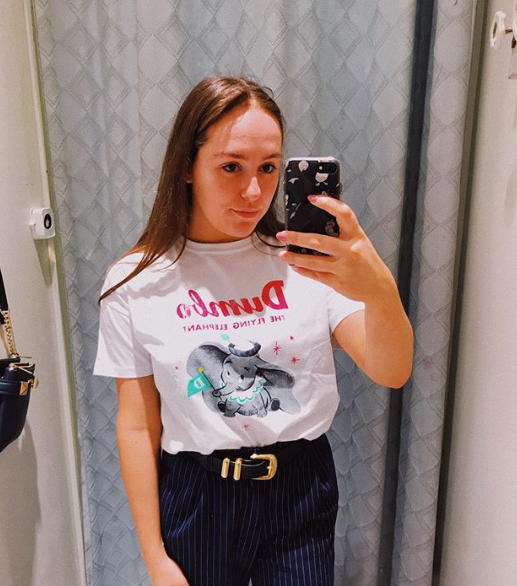 I have noticed an up in baggy shirts in so many clothing shops! I walked into Topshop and most of the items I could see were shirts. 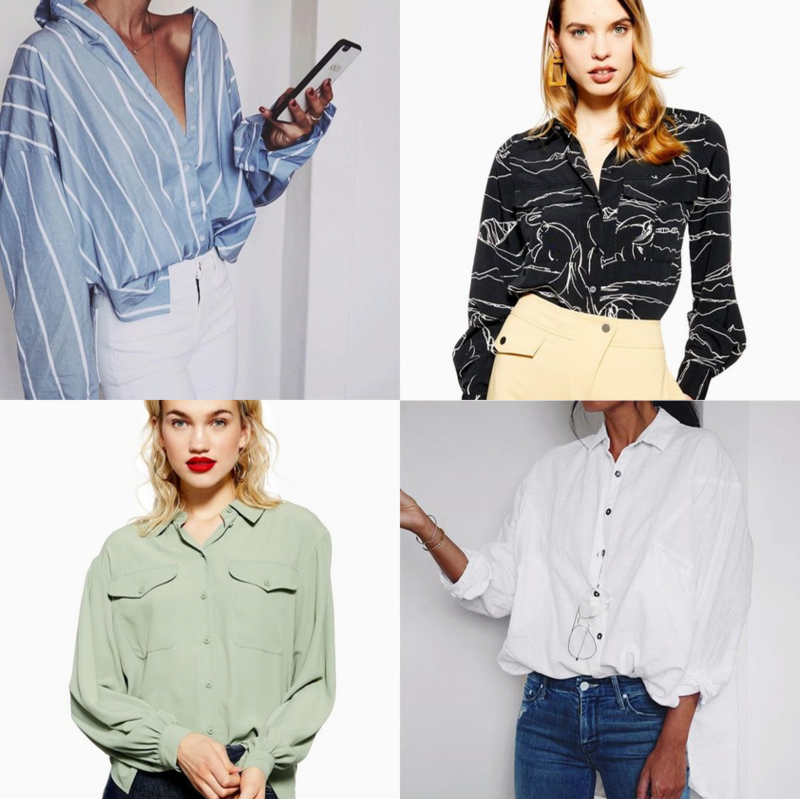 I love wearing a shirt because they can look real slouched or they can look really smart which I like, as it makes the item really versatile. I bought a shirt a few weeks ago and I just love wearing it, whether that is with my jeans or tucked into a skirt! They're just so easy to wear too, so I would like to get a few in my collection so I have a few to pick between! 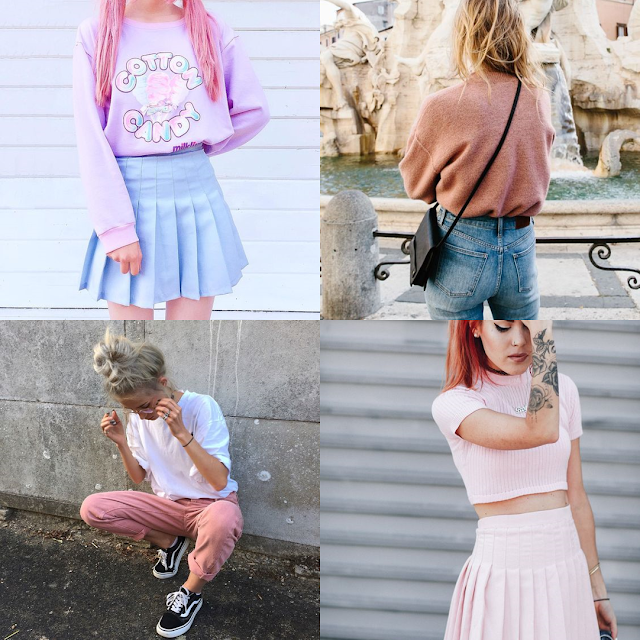 Other than the odd picture, most of the clothing items I have picked out from pinterest are pastel colours. I really do love pastel colours at the moment. I really want to implement pastel colours into my wardrobe more. At the moment, I only have a few items so this is something I want to slowly add when shopping for clothes. 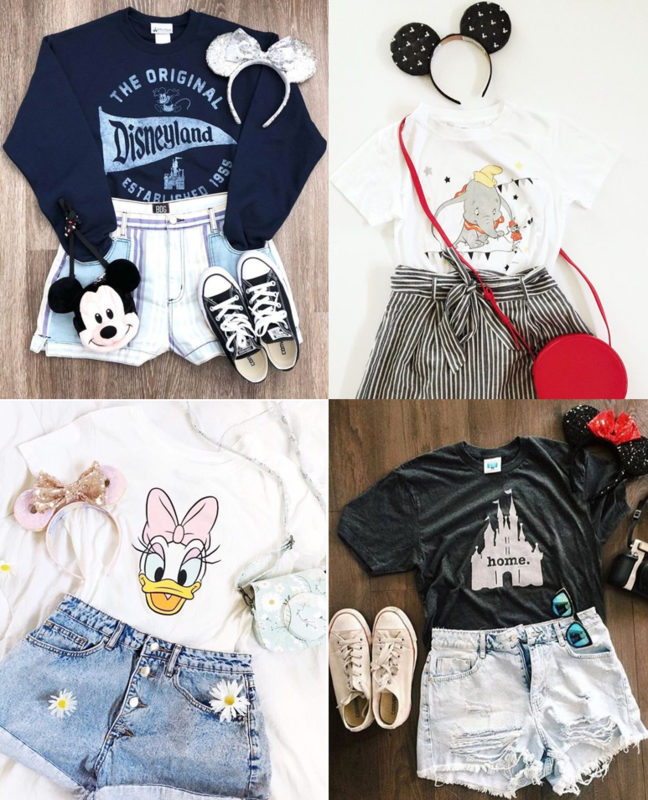 As you may all know, I'm a big fan of the whole Disney universe and so if I can implement Disney into my wardrobe, it makes me very happy. I especially love the subtle Disney and the cute outfits you see so many people wear. I have been scrolling through my instagram and I'm just in awe when I see all the gorgeous Disney flatlays people share! I really hope that when I establish my wardrobe, I can also share some super cute flatlays on my instagram too. To be honest, I just want to brighten and lighten up my wardrobe with whites, pastels and Disney (with the odd dark colours). I really hope that I can establish my new wardrobe by summer or by the end of the year. I definitely have a way to go. 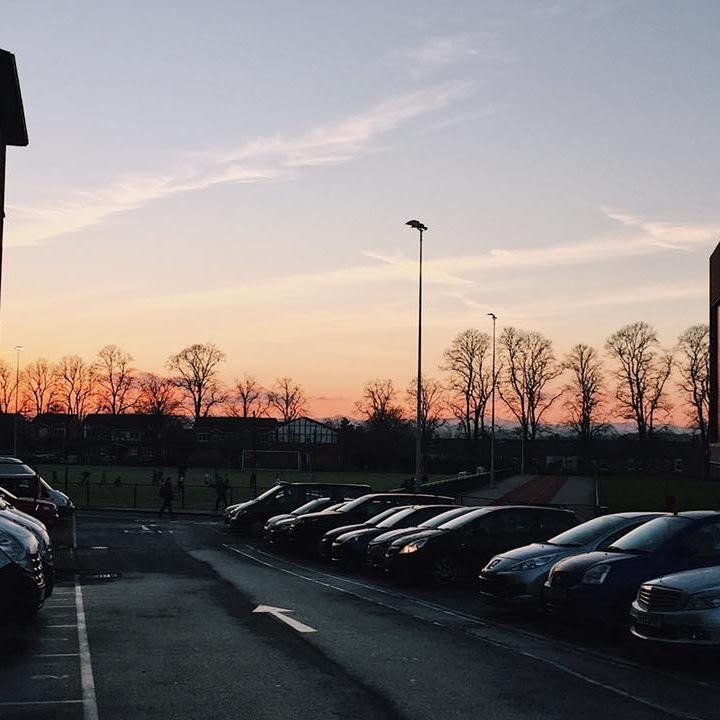 Did you like any of the items that I want to add in my wardrobe? *all photos received from pinterest.